While many professionals think jigsaws are better than scroll saws, different views are available from the other side as well. Sometimes, woodworkers or enthusiasts with average skills find it difficult to make the right choice depending on their specific tasks. So, confusion or misunderstanding regarding ‘scroll saw vs jigsaw’ can be a likely situation. In this article, I’ll be talking about the two in a way that you get the perfect picture of these two carpentry tools. With a lot of woodworkers aware of what a scroll saw and a jigsaw are as well as the many purposes they serve in a wood shop, the two are no doubt very important. However, over time probably because of issues surrounding versatility of the individual tools, a number of people have begun misunderstanding their functions. The difference between scroll saw and the jigsaw is what we will be looking at below. A scroll saw is a woodworking tool that combines the look of a jigsaw with that of a sewing machine looking like both. As a woodworking tool, it is stationed somewhere in the woodwork shop with the aid of a reciprocating blade that is well anchored. It is used to make a pattern on wood pieces and can be used to carve wood pieces into different shapes, sizes, and patterns. The versatility of this tool sets it ahead of many other saws in the market and makes it very much desired by woodworkers. It comes to a reciprocating blade that is vertically mounted to give the stationed table all the base it needs to stand firm on the ground. This blade is well secured both at the top and at the bottom. This saw type requires that the wood piece is moved into and around the table the same way cloth is passed through the machine. The jigsaw, often known as sabre saw, comes as both a corded model and cordless versions. These saws help you perform crosscuts or round cuts on a wood piece with its very adjustable, sharp blade. The jigsaw also as a reciprocating saw blade except that unlike the scroll saw, the jigsaw is only anchored at the top. To effect cut with the jigsaw, you move the jigsaw over the wood piece in the direction you want the cut to go. This saw type is used by woodworkers, but it is more popular among homeowners who make use of the saw at their leisure time. This is because they find jigsaw to be more of a versatile tool that is safer to use than other saw types. The best way to understand the difference between a scroll saw vs jigsaw is to understand the uses and benefits of both saws. From this, you are able to know what purpose both saws can serve for you. Also, you will be able to know which of the saw has the design structure that best suits your comfort. When to Use a Scroll Saw? The scroll saw though versatile cannot serve every purpose. This is why you have to know when to use a scroll saw. Woodworking feels a lot easier and better and when you know the right tool to use per time. 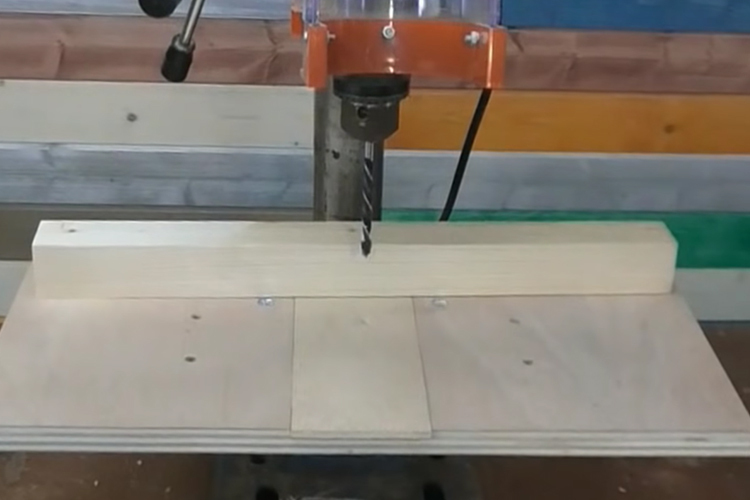 Let us quickly run through a number of uses the scroll saw can serve. The scroll saw can be used decorated wood pieces of different size and shape. The scroll saw is a stationary toll makes it possible for woodworkers to be able to affect designs on wood pieces and also carve out shapes from a number of many others. With the scroll saw, you can do a lot with wood pieces from plagues to inlays and the likes. A scroll saw makes it easy to make a curve around patterns. No other saw allows you to make curves around patterns easily that the scroll saw. It not only allows for ease, but it also allows for accuracy in making such curves. When to Use a Jigsaw? The uses of a jigsaw aren’t limited to one or two specific areas. Rather, we can use it for a job as simple as cutting wood to as delicate as cutting some metal. When a variety of cuts need to be made, then you can use a jigsaw. A jigsaw can be used in cutting a number of material like plywood, a particle board, a PVC pipe, metals, and ceramic tiles. They have really sturdy blades that can be adjusted and fit for any kind of cutting job. Asides from woodworking projects, jigsaws can be used for remodeling as well. Are you thinking of remodeling a wooden prove or want to cut through any surface? Then the jigsaw is a multipurpose tool that can serve Al of that effectively and accurately. Jigsaws can also be used in making straight cuts, curved cuts, and circular cuts. As a machine, you can use the jigsaw to effect a number of cuts. The drawback is that you have to be extra careful so you don’t lose touch of precision. They can also be used in making custom shapes of any kind that are not too tiny. Just like every other saw, the jigsaw and the scroll saw are limited in a number of ways. These limitations differ in both saws, and an understanding of them will help inform you while going for the best to suit the work that is to be done. The scroll saw may become vulnerable to some issues throughout cutting thick wood or hard material. This is largely due to its thin blade which isn’t strong enough to go through hard materials. This is what makes it less desired by woodworkers with daunting tasks and most preferred for craft-oriented tasks. The space being occupied by the scroll saw is also another major limitation. Being a stationary tool, scroll saw consume a large amount of space in the workshop. This makes working with them not so comfortable especially when you have to do so in a small workroom. It is more of a crafting tool than it is a DIY tool. For woodworkers who are more DIY inclined, they would not find the scroll saw much needed because it is not very practical for them. This largely makes the scroll saw limited in use at and around the home. The jigsaw being a handier tool is not so disadvantageous. Its major drawback is its lack of accuracy. But, you can overcome this with years of experience working with one. With the uses and benefits of both the jigsaw and scroll saw already provided, it is important to note that there are a number of other factors that should also be noted. These factors among others include the skill and safety required in use both saw, the cost price of both saws and how to maintain both. In terms of expenses, the jigsaw in its different model is way less expensive than the scroll saw. Scroll saws are not just expensive, but some models come at an outrageous price. When the versatility of the scroll saw is considered, people prefer to go all out to get one not considering how pricey it is. Maintenance helps you to keep the saw as well as every other tool of yours in the best working condition. In maintaining the scroll saw, more is expected than it is when maintaining the jigsaw. The only difference here is that the jigsaw requires maintenance often than the scroll saw requires. Both of these tools involve a particular level of safety to be maintained. With a jigsaw, you may become a victim of some hazards that call for safety arrangements. While the scroll saw requires a lot of skill and attention to details, the jigsaw is a bit easier to understand and use. Although jigsaws are thought to be safer than scroll saws, the reality says otherwise. So, Scroll Saw or Jigsaw? 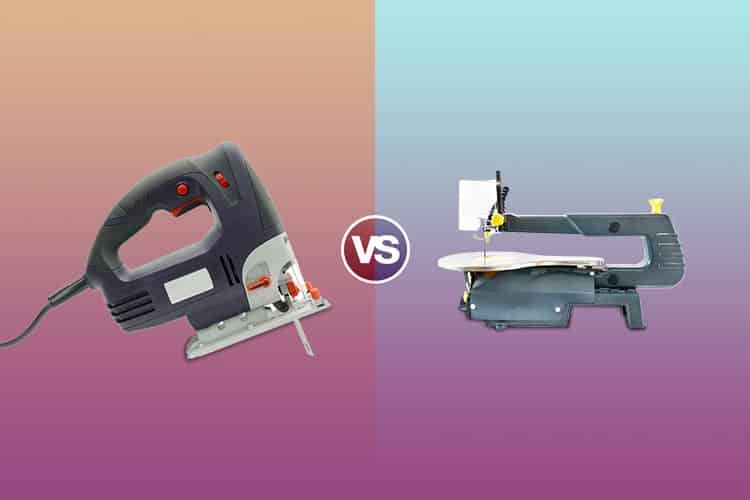 At this stage, the question is jigsaw vs scroll saw, which is better? Now, this all depends on you, your budget and the project to be carried out. If you are looking for a machine that is not so expensive, then you should look out for the jigsaw. On the contrary, if you are looking to come up with more creative designs by carving wood pieces, then the scroll saw will be best for you. It will be totally wrong to say one of the saw is better than the other. This is because a saw that is best for you and the work to be done, might be different from what is best for another woodworker. From this discussion on scroll saw vs jigsaw, it becomes very easy for you to pick from the scroll saw or jigsaw depending on which suits the purpose you desire it for. However, close to considering the purpose is to pay attention to the details. It is very important that you understand the mechanism of both the scroll saw and jigsaw. This way, you will be able to make use of both machines to produce accurate and excellent woodworking outcomes. 3 How to Cut a Straight Line Appropriately with a Reciprocating Saw?